Your generosity keeps us going. Every day, thousands of carers in the Croydon area are supporting those in need – whether a close relative, partner or friend. Our aim is to help those carers, by providing advice, emotional support, opportunities to meet like-minded people and a chance to escape from it all on one of our short breaks. Donations from the public and companies are what makes all this possible. Would you like to make a single payment or regular payment to Croydon Carers? You can easily make a donation online via our secure page. Our charity shop in Katharine Street is always grateful for any books, clothes or bric-a-brac you may have that you no longer need. All profits from the shop go to support our work. A £20 donation could cover our telephone costs for an entire week, helping us to continue taking over 10,000 calls from carers each year. A £90 donation could pay for a typical day trip, providing a much needed short break for 16 carers in the community. A £250 donation could enable us to provide 48 counselling and reflexology sessions for our carers. 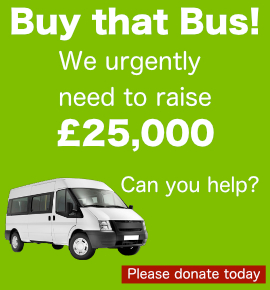 A donation of £1500 could keep our minibus on the road for a whole 12 months. 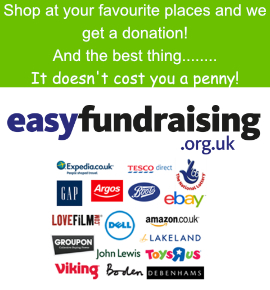 A donation of £4400 could cover the yearly cost of running our office and shop premises.